Credit freezes can help prevent identity theft. Are they worth your time? Protecting yourself from identity theft just got easier, or at least cheaper. A new law takes effect Friday that allows Americans concerned about identity theft to restrict access to their credit. The service is free. A credit freeze restricts access to your credit file, making it more difficult for people to open new accounts in your name. The freeze must be lifted before any new credit is issued to buy a car or house, for example. A survey found half of U.S. adults still had not looked at their credit score after the Equifax data breach. Previously, the fees associated with freezing credit varied widely across states. Credit freezes were free in some states but cost more than $30 in others. In some places, it cost another $30 to lift the freeze. 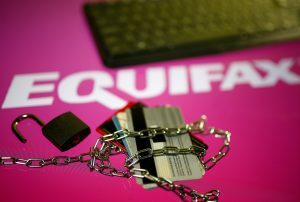 The new law was prompted by the Equifax hack in 2017 that exposed 148 million Americans’ credit information. And despite efforts to raise awareness about the risks posed by that attack, a Creditcards.com survey published earlier this year found that half of U.S. adults had not looked at their credit score since the data breach. So should you freeze your credit now that it’s free? We put that and other questions to Creditcards.com industry analyst Ted Rossman. I haven’t had my identity stolen, should I still freeze my credit? Everyone should at least consider freezing their credit. Even if you weren’t part of the 45 percent of Americans involved in the Equifax breach, if you have ever shopped at Target, Home Depot, eBay, Chipotle, or a host of other businesses whose data has been compromised, your information could still be compromised. “Whether or not we have seen suspicious activity on our account, there have been enough attacks, that we should just assume our information is out there,” Rossman said. Plus, the entire point of a credit freeze is to prevent suspicious activity from happening in the first place. You must freeze your credit with all three credit reporting companies, Equifax, Experian and TransUnion. You can do that online, over the phone or by mail. Rossman also recommends asking the companies to freeze your children’s credit. Even if your kids do not have any credit cards in their names, their identities can still be stolen. What are the downsides to freezing your credit? The main downside is that if you freeze your credit, you have to remember to unfreeze it. Under the new law, the credit reporting companies are supposed to be able to unfreeze your credit within an hour. But “I think people would be well served by leaving a little more time then that. If you are going car shopping, I would do it two to three days in advance,” Rossman said. That way, if you get put on a customer service hold or the companies are experiencing website issues, you still have some cushion. One other item of note: When you freeze your credit, you will be given a pin number. Don’t lose it. Rossman said the credit companies have ways to verify your identity without the number so you can unfreeze your credit, but it can be a huge hassle. Can I trust the credit companies to handle this? Frankly, you don’t have much of a choice, Rossman said. The credit bureaus already have your personal information so there is not much you can do there. By freezing your credit you aren’t providing them any additional data. When the new law was being considered earlier this year, some people advocated for an overhaul to the credit industry, but that didn’t happen. So if you don’t trust the credit companies, freezing your credit might be best step you can take. Just remember, as Rossman said, to give yourself plenty of time to unfreeze it in case the process goes awry. Are there less extreme options? You could instead opt for fraud alerts, which are also free. In this case, you only have to contact one of the three credit reporting companies and they will let the other two know that you want them to be on high alert for any suspicious activity. Instead of completely freezing your credit, it simply flags to creditors that they need to be extra diligent about verifying your identity before issuing credit. Fraud alerts flag to creditors that they need to be extra diligent about verifying your identity before issuing credit. As a part of the new law, these alerts will automatically expire after one year, up from 90 days before. If you have been the victim of fraud, the alert can remain in place for up to seven years. There are a few more steps everyone should take to prevent their information from being stolen. “Be diligent. Check your credit score regularly. Report any suspicious transactions on your credit cards,” Rossman said. If something seems off at a gas station or ATM slot where you insert your credit card, it could be a sign that it has been tampered with or has a skimmer on it to steals your card information. Still have questions? Check out these additional FAQs from the Federal Trade Commission.